Ordering food at a Japanese restaurant is quite straightforward. Much as in other countries, you can use a few gestures and individual words to communicate your order. However, if you learn some general restaurant phrases, the whole experience will go much more smoothly. Plus, there may be times when you need to convey something specific about your order (such as an allergy). Or ask something specific (such as whether the restaurant does take-out). 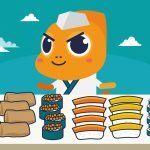 This article will teach you everything you need to know to place orders, ask questions, and make requests at any kind of Japanese restaurant. If the part of Japan that you are visiting is metropolitan, some menus may have their items written in both Japanese and English. However, if you are patronizing a more traditional restaurant, or if you are in a more rural or suburban area, menus may have Japanese text only. Kore wa nan desu ka? Kore wa niku desu ka? Kore wa su-pu desu ka? Kore ni nani ga haitte imasu ka? Kore ni ____ ga haitte imasu ka? Is there ____ in this? If you determine that a food item has an ingredient in it that you do not want or cannot eat, you can try ordering it sans that ingredient. ____ nashi ni dekimasu ka? Can you make it without ____? I am allergic to ____. Kore wa ____ tsuki desu ka? Does this come with ____? 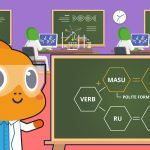 When talking about quantities, Japanese pairs numbers with counter words (also called measure words). Counter words indicate the type of object being counted – objects which are flat, for example, get a different counter word than objects which are electronic/mechanical devices. 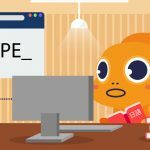 There are more than a few common counter words, and which objects fit into which counter word category can be a little confusing even for native speakers. Fortunately, there is also a set of numbers that can be used without counter words if you feel unsure about which counter words to use. These ten numbers are native Japanese numbers. The numbers which are usually taught first to students of Japanese (ichi, ni san, etc) is a Sino-Japanese set of numbers. The native Japanese number set goes up only to ten, but for the purposes of ordering in a restaurant this is plenty sufficient. Dango are small sticky-rice-and-bean desserts. 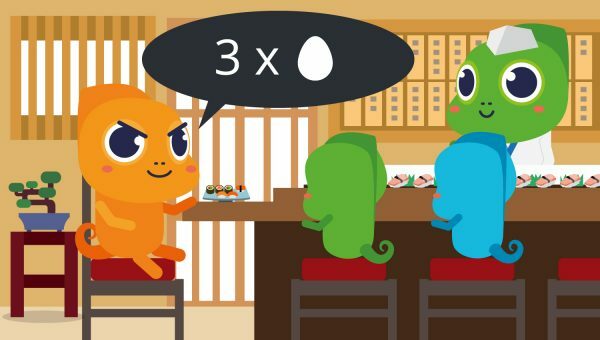 Because they are small and of no particular shape, they can be counted using a Sino-Japanese number plus the counter word “-ko.” You can use the generic native Japanese word “mittsu” if you do not know the counter word “-ko” – the sentence pattern is the same either way. When leaving a restaurant in Japan, even a Western-style one, remember not to tip. 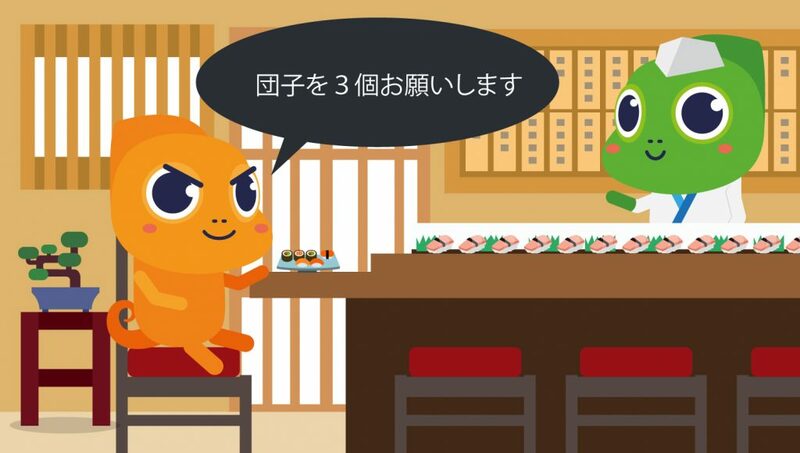 Restaurants in Japan do not use a tip system, and if you leave a tip you may glance back and find that an employee is running to catch up with you and give you back your money. It is also a good idea to ask whether a restaurant takes credit cards before deciding to eat there. Some small-business restaurants in Japan do not take credit cards. Kurejitto ka-do wa tsukaemasu ka? Kore wa nihyaku gojuu en desu ka? Note that in Japanese, yen is not pronounced yen – it is pronounced “en.” (Incongruously, the ¥ symbol is nevertheless used on a large percentage of prices. Sometimes the kanji for yen (円) is used instead). Just as in other countries, you will often have the option of dividing payment between yourself and other people. But also same in other countries, if you are eating at a small business and paying by credit card, paying cumulatively using just one card may be more courteous. Have the bills be separate, please. That’s the end of our Japanese restaurant phrases for now! Many foods in Japan will seem strange or even off-putting at first glance. (Examples: fried soba noodles on a hotdog bun? Slimy and chewy seaweed salad?) But give them a try. They may not taste at all the way you would expect. If you’re interested in reading about Japanese food, check out our article on different types of sushi. 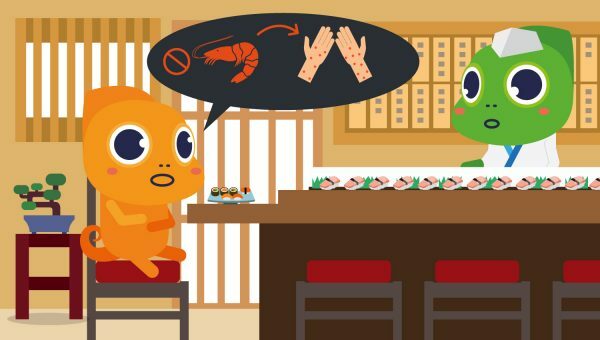 The range of foods that are considered sushi may surprise you. For example, I love sushi. But I do not eat fish or seafood! If you have any questions, or if there are any future articles you would like to request, please leave us a comment.